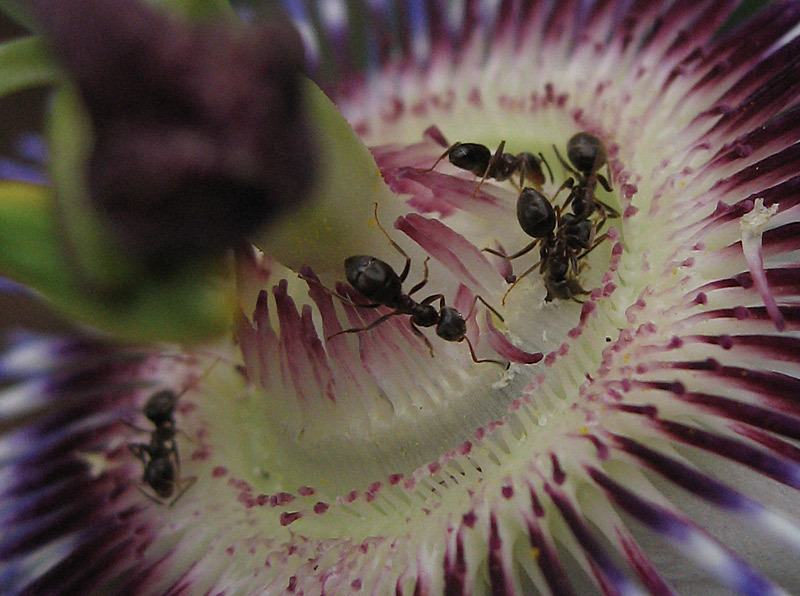 It is totally normal for Passiflora to be covered in ants marching up and down them in a very determined manner. In Costa Rica Smiley (1986) found Passiflora quadrangularis was visited by 15 different ant species and Passiflora vitifolia by 20 species. The relationship is often, but not always, symbiotic i.e. of mutual benefit. The ants feed at the plants nectaries (nectar secreting glands) both extra-floral on the petioles & leaves and floral, as above. 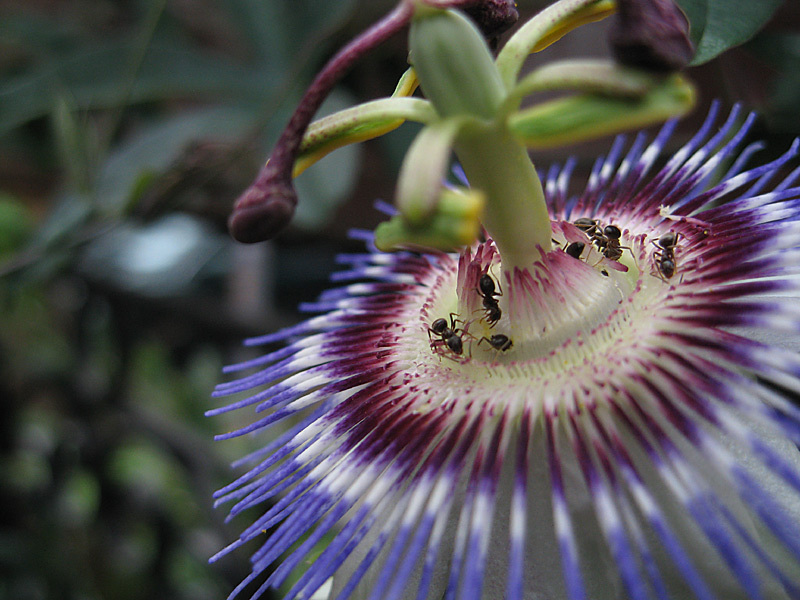 The benefit that the plant gets in return is that the ants protect the Passiflora by performing general housekeeping duties including preying on herbivores such as caterpillars. Some black ants are also known to farm bugs, moving around and protecting them from predation, collecting the sugary honeydew they secrete, but I have yet to see farming on a passion flower here in UK, they just go straight to the nectaries. I understand from Mark Cooper in California however, that the ants there in addition to drinking from the nectaries and keeping off some bugs, can do a lot of damage!